National carrier Telus has once again secured OpenSignal’s top spot for 4G LTE network speeds in Canada. 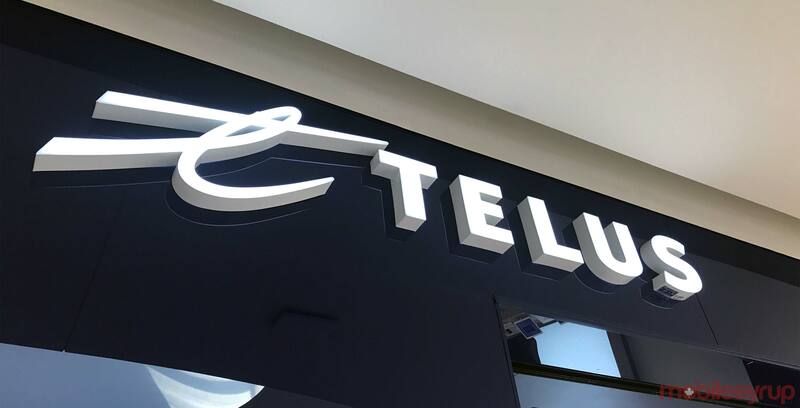 According to OpenSignal’s August 2018 State of Mobile Networks: Canada report, Canada’s third-largest carrier Telus has the fastest 4G LTE speeds in the country, with average download speeds of 51.05Mbps and average upload speeds of 11.29Mbps. In terms of download speed, Canada’s second-largest carrier Bell earned second place, with speeds of 42.41Mbps. Canada’s largest carrier secured third place, with download speeds of 32.77Mbps. In terms of upload speed, Rogers earned the second-place spot, with speeds of 10.03Mbps, while Bell earned third place with speeds of 9.38Mbps. It’s also worth noting that Telus’s LTE network is available in 88.84 percent of the country, Bell’s LTE network is available in 88.4 percent of the country and Rogers’s LTE network is available in 86.38 percent of the country. OpenSignal gathered 677,955,843 datapoints from 31,762 users between April 1st, 2018 and June 29th, 2018 to produce its latest report. While Telus secured the first-place spot for 4G LTE speeds, the carrier came in second place in terms of 3G download speeds. Bell secured the 3G top spot, with download speeds of 5.54Mbps. 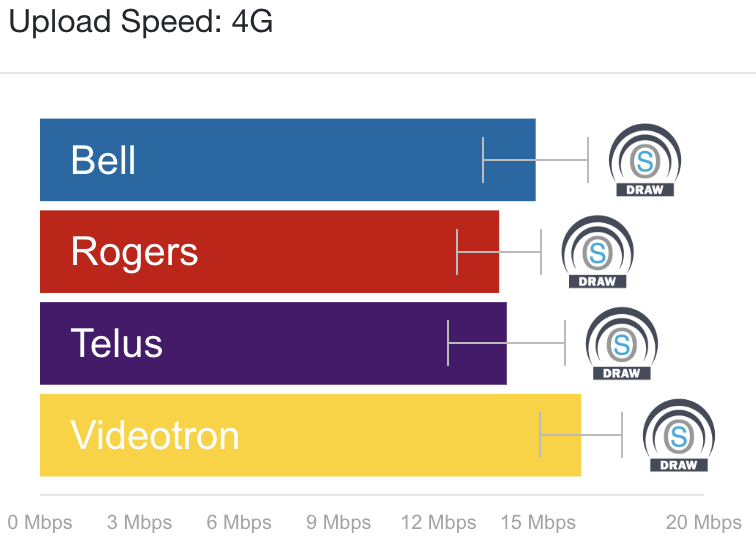 Telus came in second, with speeds of 5.28Mbps, while Rogers came in third place with speeds of 4.63Mbps. 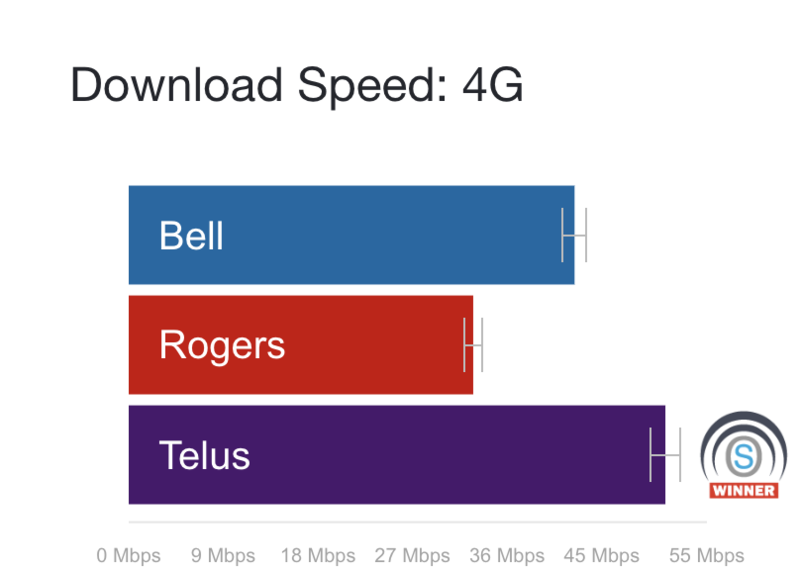 In spite of its 3G performance, Telus secured the top spot for overall download speed with 45.29Mbps. 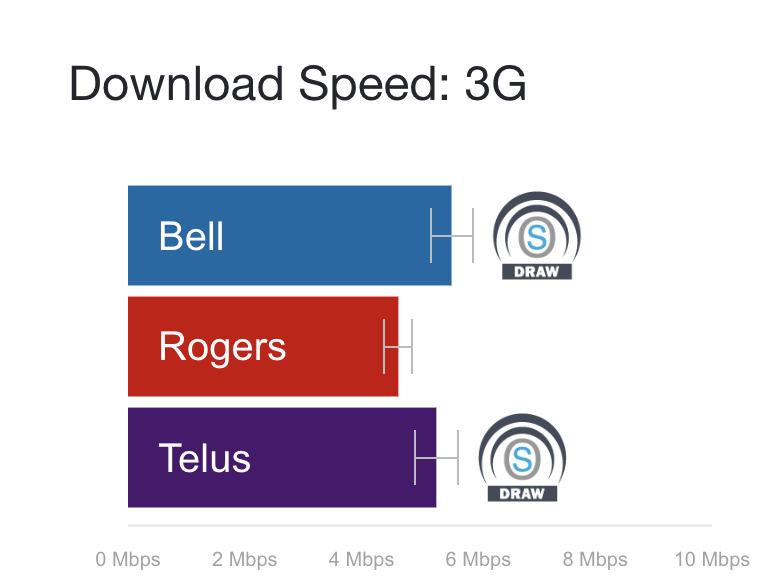 Bell placed second overall, with download speeds of 37.21Mbps, and Rogers came in third with download speeds of 27.8Mbps. 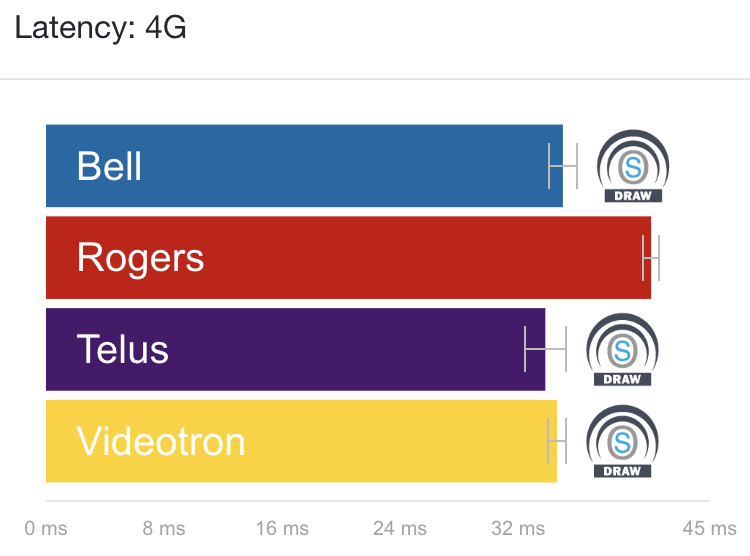 In terms of 4G latency, Telus secured the top spot with 40.38 milliseconds of latency, Bell came in second with 43.39 milliseconds of latency, while Rogers came in third with 50.15 milliseconds. 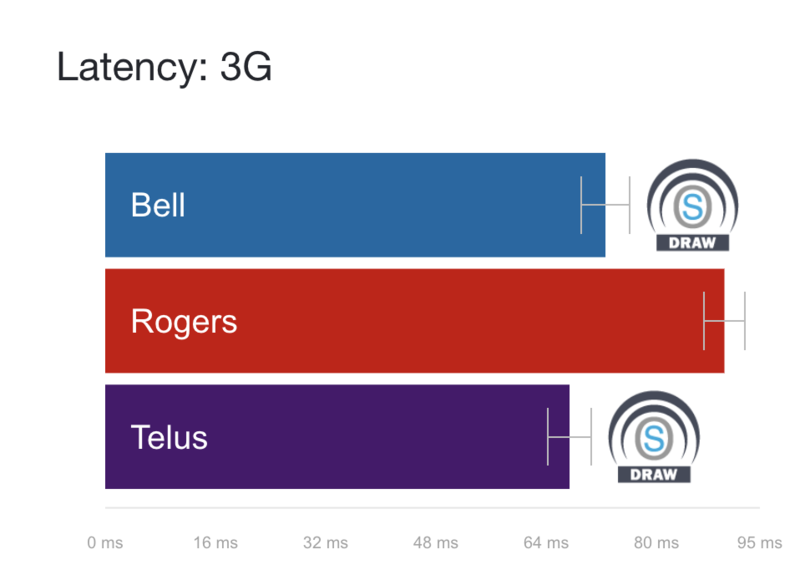 Telus took the top spot for 3G latency, with 67.38 milliseconds, Bell came in second with 72.59 milliseconds, while Rogers came in last place with 89.85 milliseconds. OpenSignal also measured each carrier’s performance in Montreal and Toronto. “We continue to track much faster speeds in the cities of Toronto and Montreal than on the national level,” reads an excerpt from OpenSignal’s latest Canada report. In Montreal, Bell took the 4G download speed crown, with 69.63Mbps. 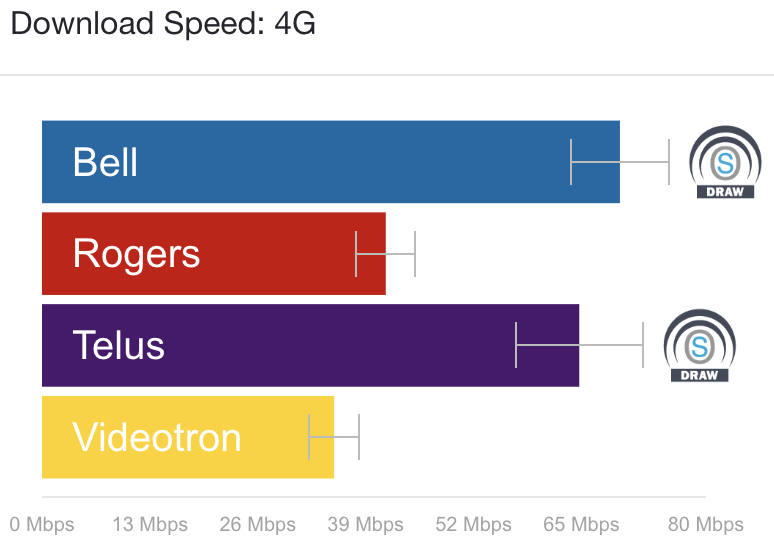 Telus placed second, with 64.73Mbps, Rogers placed third with 41.42Mbps, while Videotron placed fourth, with 35.2Mbps. In terms of 4G upload speed in Montreal, Videotron placed first, with 16.3Mbps. 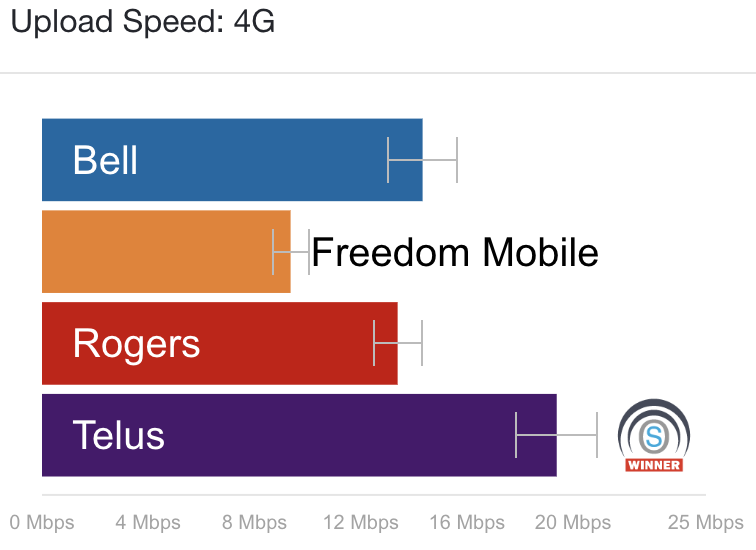 Bell placed second, with 14.93Mbps, Telus placed third with 14.06Mbps, while Rogers came in fourth, with 13.83Mbps. 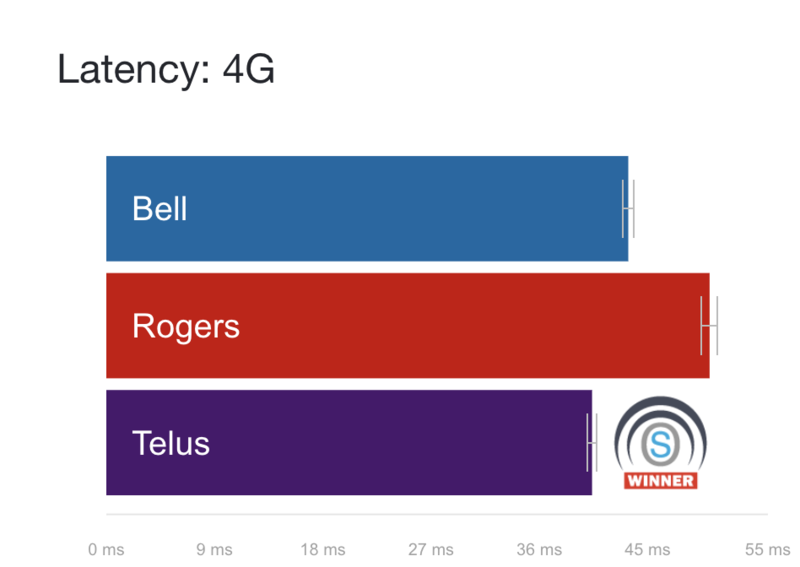 Telus won the 4G latency competition in Montreal, with 33.84 milliseconds. Videotron came in second, with 34.63 milliseconds, Bell came in third with 35.03 milliseconds, while Rogers came in fourth, with 41.01 milliseconds. 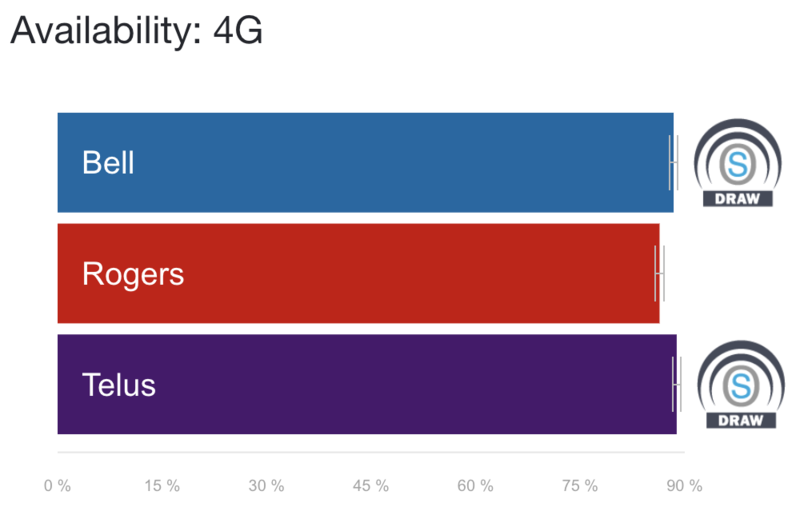 In Toronto, Telus was the clear 4G champion, with download speeds of 73.25Mbps. 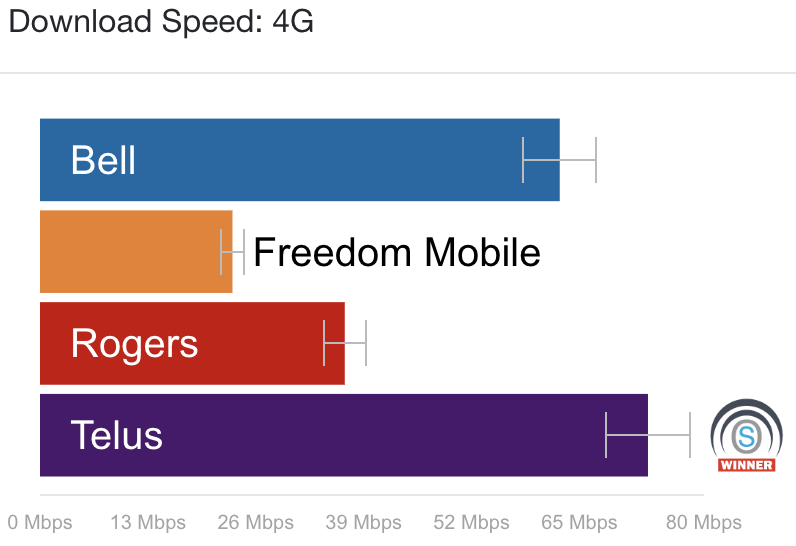 Bell came in second, with 62.62Mbps, Rogers came in third with 36.72Mbps, while Freedom Mobile came in fourth place with 23.19Mbps. Telus also won the 4G upload speed competition, with speeds of 19.38Mbps. Bell came in second, with 14.33Mbps, Rogers came in third with 13.39Mbps, while Freedom Mobile came in fourth with 9.36Mbps. Bell won the 4G latency competition, with 32.47 milliseconds. 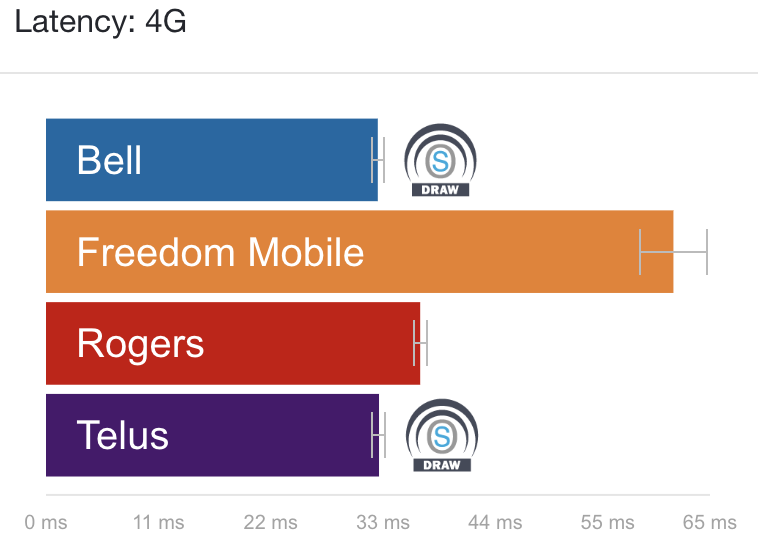 Telus came in second, with 32.6 milliseconds, Rogers came in third with 36.63 milliseconds, while Freedom Mobile came in fourth place with 61.42 milliseconds.